Contact: David Burgess, CEO of Legba, Inc.
ned radio platform, based on Lime Microsystems‘ fully programmable RF transceiver technology. This has resulted in the release of YateBTS 3.0 providing a complete end to end solution. The software defined radio technology builds on proven military implementations and seeks to bring the technology into affordable public mobile networks for the 3.5 billion people who currently are without any wireless connectivity. The affordable bladeRF board has an entirely programmable FPGA and a large community of developers. It uses Lime’s field programmable RF transceiver to deliver a simple, high performance and low cost software defined radio board. The partnership among Legba, Nuand and Lime Microsystems proves traditional mobile networks can be expanded and made more affordable by innovative solutions. “This technology redefines the development and sales model with close partnership among silicon vendors, ODMs and software developers becoming the new way of building solutions. Our collaboration shows that innovative and cost optimised wireless networks could be implemented to provide mobile coverage to countless communities that is not economically viable using the existing solutions,” Ebrahim Bushehri, CEO of Lime Microsystems. 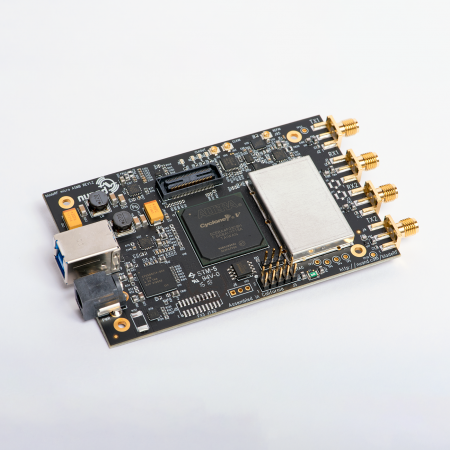 “I am happy to announce the collaboration with the creators of bladeRF – a low-cost, open source software defined radio – and with Lime Microsystems, the developers of the highly flexible field programmable RF chip. bladeRF’s features have allowed us to integrate and fully program it in our YateBTS products.” David Burgess, CEO of Legba, Inc.
Legba, Inc. (www.leg.ba) provides innovative infrastructure for mobile operators. Nuand, LLC (www.nuand.com) developed a low-cost, open source USB 3.0 software defined radio platform. Lime Microsystems (www.limemicro.com) specialises in field programmable RF (FPRF) transceiver ICs for the next generation of wireless broadband systems. YateBTS is a trademark of Legba, Inc. bladeRF is a trademark of Nuand, Inc.
A beta release of OpenBTS support is now available at https://github.com/Nuand/dev ! Client phones can now associate, and use OpenBTS, there are still a few fixes in the works for USB2.0, RF power and filtering. We need a few more people to help us test our OpenBTS before we get ready for a stable release. We encourage first time OpenBTS users to come join us in #bladeRF on FreeNode ( use http://webchat.freenode.net/ as a web client ) as we prepare an installation guide. We are working on putting together an FAQ for OpenBTS so the more questions we receive, the better!